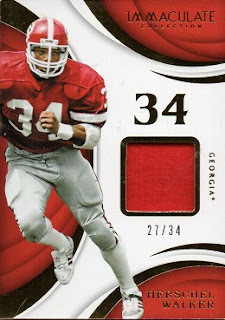 This is Herschel's card in the "Numbers" subset of the 2018 Panini Immaculate Collegiate set. The numbers refer to the player's jersey #, and the cards are serial numbered to that amount. 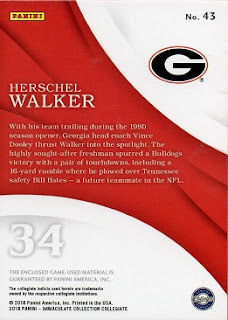 Hence, in Walker's case, his card is serial numbered to 34, with this example being #27. The card contains a jersey swatch.